Kizi' s mascot has gathered all his friends to carry out a great go-kart competition. It is a game in the style of Mario Kart in which we will have to be in first position in all races to get a great score and lead the ranking at the end of the cup. On the way there are obstacles that you must avoid and you will also have to pick up the green tubes that will give you additional power. Use that power against your enemies to benefit from it and reach the first position. Finish the race first after two laps to get the highest score and lead the ranking. 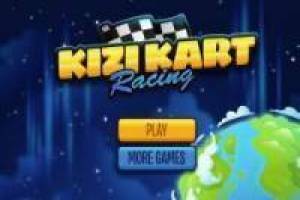 Select your favorite character and start this great adventure that Kizi Kart brings us. 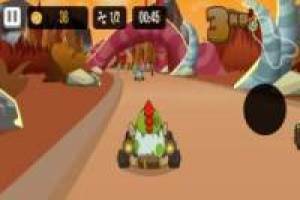 Enjoy the game Kizi Kart, it's free, it's one of our Kizi games we've selected.